Uncanny Magazine Issue 25 Cover and Table of Contents! Meet Uncanny Magazine’s New Assistant Editor, Chimedum Ohaegbu! Fran Wilde’s “Clearly Lettered in a Mostly Steady Hand” Won the Eugie Foster Award! Uncanny Magazine Issue 24- Disabled People Destroy Science Fiction Cover and Table of Contents! 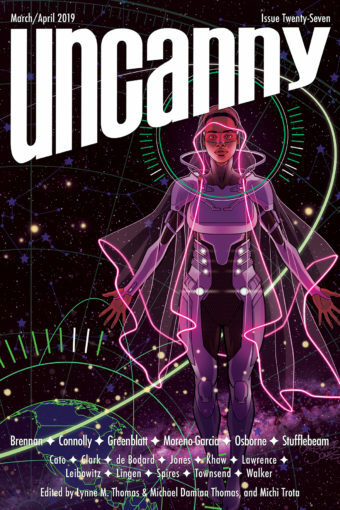 Uncanny Magazine Wins Its Third Best Semiprozine Hugo Award, and the Uncanny Thomases Win the Best Editor-Short Form Hugo Award! Announcing the Disabled People Destroy Fantasy Fiction and Nonfiction Editors!